As a real estate agent, getting your website to rank on Google’s illustrious first page of results is both complex and simple at the same time. Modern real estate agents are constantly searching for specific tasks and tactics they can use to start ranking for their chosen keywords. In this ultimate step-by-step SEO guide for Realtors®, we’re going to dive into those specific tasks together. We've created a free SEO Checklist for you to download and use to keep track of your optimization efforts - scroll to the bottom of this article to download it right away. This article is unlike anything we’ve published before in The Dojo. It’s going to take you longer to get through it than usual – think of it as a short book. When you’re ready to commit, sit down, pay attention and read this from start to finish because it has the potential to change your business forever. Chapter 1: Audience, Keywords & Meta, Oh My! Glossary of Important SEO Terms We will be using these terms throughout this guide. Refer back here at any point. 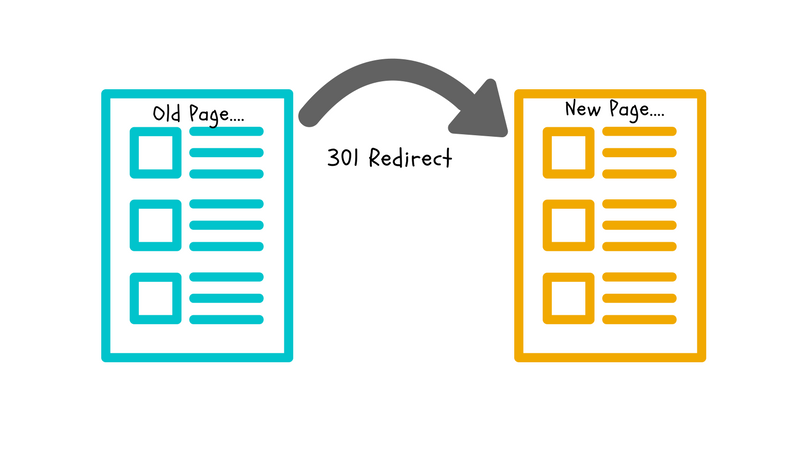 301 Redirect: A permanent redirection of one URL to another. 301 Redirects are used to send search engines and humans to a different Domain than what was typed into the browser or clicked from a SERP. ALT Tags: Keywords associated with photos on your website. Authority: The reputation of your domain or a page of your website. Backlinks: Any link on the internet that sends people to a page on your website. Blacklisted: When search engines block your website from appearing in search results, due to shady practices. Bounce Rate: When a visitor leaves your website after only viewing a single page. Content Management System (CMS): Software such as RealtyNinja that helps you create a website and manage your website content. Content: All the information, including media, found on a website. Domain: The address of your website, as it appears in the browser’s address bar. Domain Extension: The “.com”, “.ca”, “.net”, “.org”, “.realtor” or other suffix after your domain. Domain Forwarding: When you point – or forward – one or more domains that you own to your website. Duplicate Content: Non-original content that exists elsewhere on the internet and is being duplicated on your website. Search engines do not reward you for this. Dwell Time: The amount of time a visitor spends on your website before navigating elsewhere. Inbound Visitor: A visitor who clicked a link somewhere online which brought them to your website. Inbound Link: A link on the internet that directs visitors to your website. Interlinks: Any link on your website that sends visitors to other pages of your website. Keyword Stuffing: Attempting to over-load a page with your keywords, particularly in a way where they don’t make sense. Links (Hyperlinks): Any text or image online that, when clicked on, sends the visitor elsewhere online. META Tags: Information about a website that tells humans and search engines what the website and it’s pages are about. Includes Meta Description, Meta Keywords, Meta Title & ALT Tags. Meta Description: A brief summary of what you’ll find on a specific page or website. Visible by humans and search engines. Meta Keywords: Multiple words that helps to describe the content found on a web page. Visible only to search engines. Meta Title: The title of a specific web page or website, which describes the purpose or content of that website. Visible to humans and search engines. Mobile Responsiveness: Website designs that automatically resize to fit any size browser and internet-ready device. 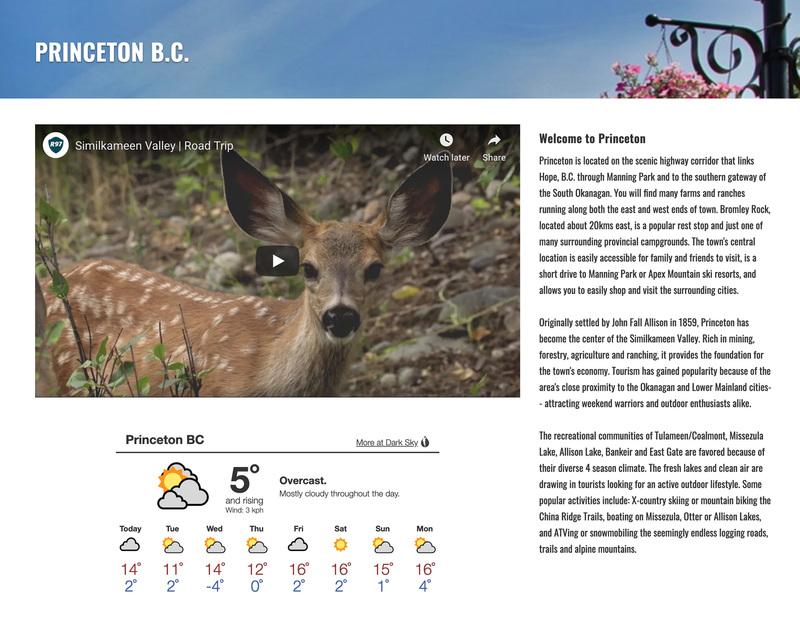 Navigation: The main menu of a website. Organic Click-Through Rate: The number of clicks an unpaid search result receives, divided by the number of times it’s shown. PageRank: Google’s original ranking algorithm, which calculated a website’s authority based on the number of backlinks that website received. Pogo-Sticking: The act of clicking a search result, not finding what you’re looking for and hitting the browser’s “back” button to return to search results. RankBrain: A newer Google algorithm, which ranks websites based on their relevance to the search query. Uses Organic Click-Through Rate, Dwell Time, Bounce Rate, and Pogo-Sticking to calculate relevance. Search Engine Optimization (SEO): The practice of enhancing and marketing your real estate website so that it can rank high on search engines for specific search queries. SEO Signals: Indicators of your website’s overall search engine rank. Google contains over 200 of these. SSL Security: Stands for “Secure Sockets Layer” and ensures the safety of your website visitors. Websites with SSL Security have an SSL Certificate and their domain is prefixed with HTTPS rather than HTTP. Traffic: The total visitors of a website. URL Structure: How your website’s pages, sub-pages and blog posts appear in the address bar of a browser. Chapter 1: Audience, Keywords & Meta, Oh My! Pick your fish, select your bait, and go fishing! Catching search engine users and bringing them to your website can be compared to catching fish. You wouldn’t spend hours fishing with the wrong bait, would you? No… you first identify what kind of fish you’re after and pack the appropriate bait to attract them before you get on the boat. Similarly, before you begin optimizing your site to rank on search engines, there are two important questions to ask yourself. [-_-]~~~ Ninja Tip: You don’t HAVE to use tools to figure out your keywords. Ideally you should, but usually you can trust your gut to identify the best keywords to target with your SEO efforts. Something to keep in mind when identifying keywords to target with your website and content… Keywords come in different shapes and sizes. There are keywords that are short – Short-Tail Keywords – and keywords that are longer – Long-Tail Keywords. These are keywords that contain one or two words. Short-Tail Keywords are used to target a broader set of traffic, and generally are used when creating a strategy for your entire real estate website as a whole. These are keywords that contain three or more words. 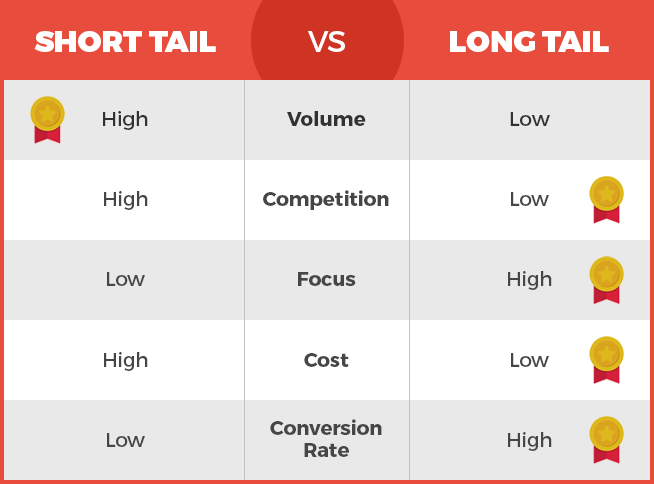 Long-Tail Keywords target a more defined, niche category of traffic. They are usually used to attract subsets of traffic to specific pages or blog posts on your real estate website. Watch this awesome video from Ahrefs for some more awesome (long & short-tail) keyword research tools – accompanied by tips on how to use them – that will help you do correct keyword research and reach the right visitors with your SEO efforts. Okay so you’ve defined your audience, you’ve tinkered with some SEO tools and have an idea of what long-tail and short-tail keywords your audience is searching for online. My motto is: write for the people, and the search engines will take notice. If your text is written in such a way that it’s relevant to your target audience, it will be successful with search engines also. ALT tags are basically the keywords behind your images. Any image on your website can have ALT Tags associated with it. 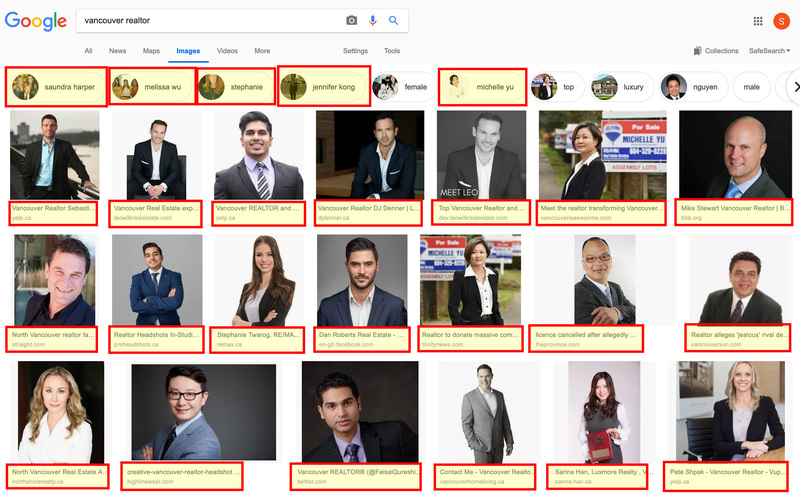 For example, if you have a photo of yourself on your “About Me” page, make sure there is an ALT Tag associated with that photo that says “Your Name – Real Estate Professional with RE/MAX Masters in West Vancouver”. By doing this, you are telling search engines that the photos on your website are related to the content on your website. You are also increasing your chance of being discovered in “Image Search” (see Chapter 7) as well as just regular old text search. What about adding ALT Tags to listing photos, you ask? Well of course, that’s also very important! If a listing belongs to you, you should be able to modify much of it’s characteristics on your real estate website – one of these characteristics is the ALT Tags! Step 2.) Find the Featured Listing you want to add ALT Tags to, and click the “Edit” icon on it. Step 3.) On the “Edit” screen that appears, scroll down until you see the photos. Next to each photo is a blank box. Type your ALT Tags in for each image, then scroll to the bottom and click “Update Listing”. 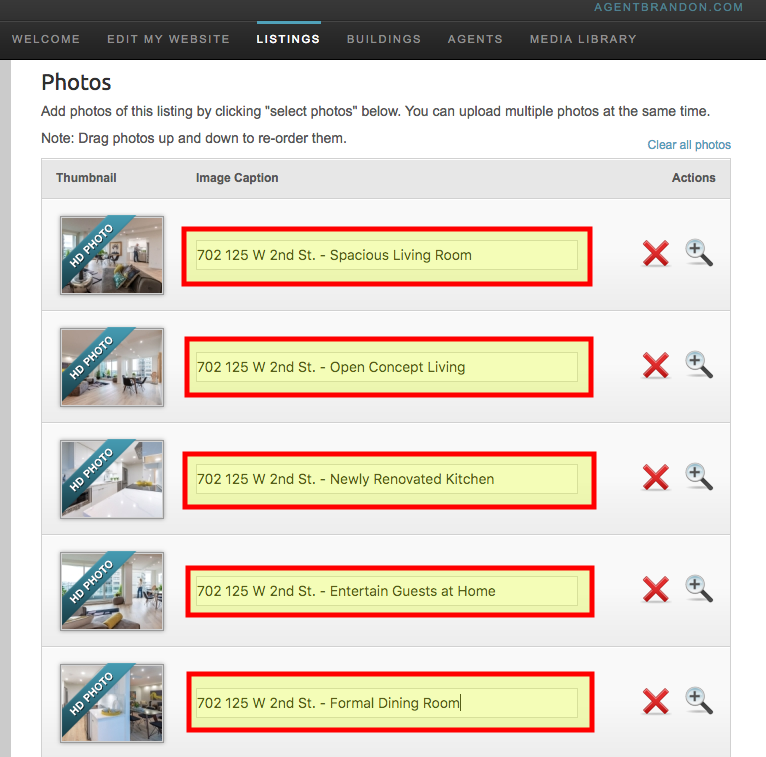 If you’d like help with adding ALT Tags to photos on your RealtyNinja site, check out this help doc for info. 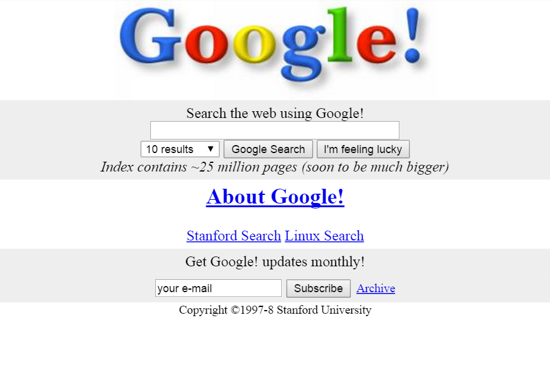 When I first started tinkering with websites and the internet (over 20 years ago) search engines were not nearly as advanced as they are today. Their algorithms were very basic and they wouldn’t always provide you with the best results. Back in those days, search engines like Google relied on basic website functions to tell them what a website and it’s pages were about. These basic functions were Meta Titles, Meta Descriptions & Meta Keywords, and they were tucked into the code of a web page. Meta Titles: A Meta Title is the title of a web page. It shows up in the tab of your browser at the top of the screen, and as the main title shown in Google’s results. This information would tell search engines and visitors what that page was about. Sort of like the title of a newspaper article. Meta Descriptions: A Meta Description takes the title of the page and expands on it further with descriptive text. The info gives search engines a summary of what you’ll find on the page. The Meta Description appears to visitors in search results. Meta Keywords: A Meta Keyword is a word (a bunch of them actually, separated by commas) that helps to describe the content found on a web page. Meta keywords don’t appear on the page or even in the search results page. They are just hidden in the web page’s code, and speak directly and exclusively to search engines. These three website functions were the foundations that search engines were founded upon. Using these three pieces of information, search engines of the 1990’s would find what you were looking for and provide them to you. Nowadays, search engines have hundreds of different signals worked into their algorithms, and they even have teams of actual humans that are constantly refining search results. There is a clear emphasis on “NOT AS” in the sentence above… that’s because Meta tags are still extremely important today. 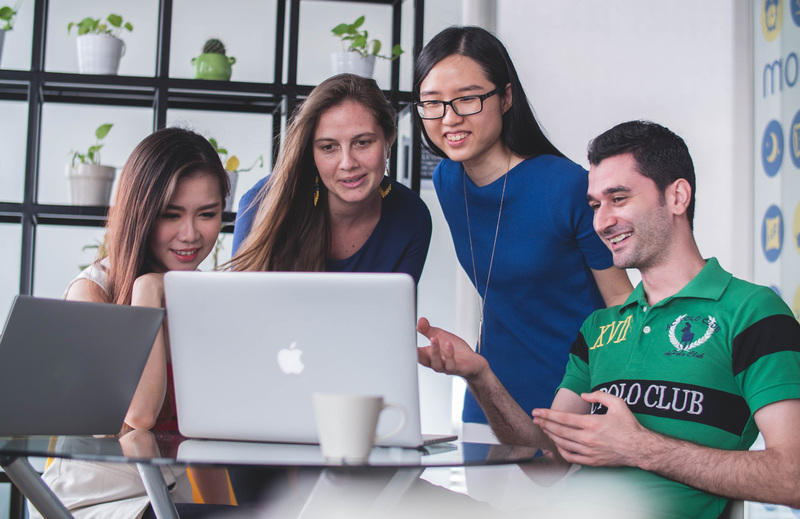 All these years later, these three foundational SEO functions are still extremely relevant and important to your overall rank on search. Not only do Meta tags still communicate with search engines, they also provide actual humans with insight into what’s on a page. For instance, if your search engine result has a nonsensical Meta Description, even if it’s the first result on Google, humans will not click it! It’s as simple as this: Go to every single page of your real estate website, and add Meta Titles, Meta Descriptions & Meta Keywords. Do it. I’ll wait…. Step 6.) 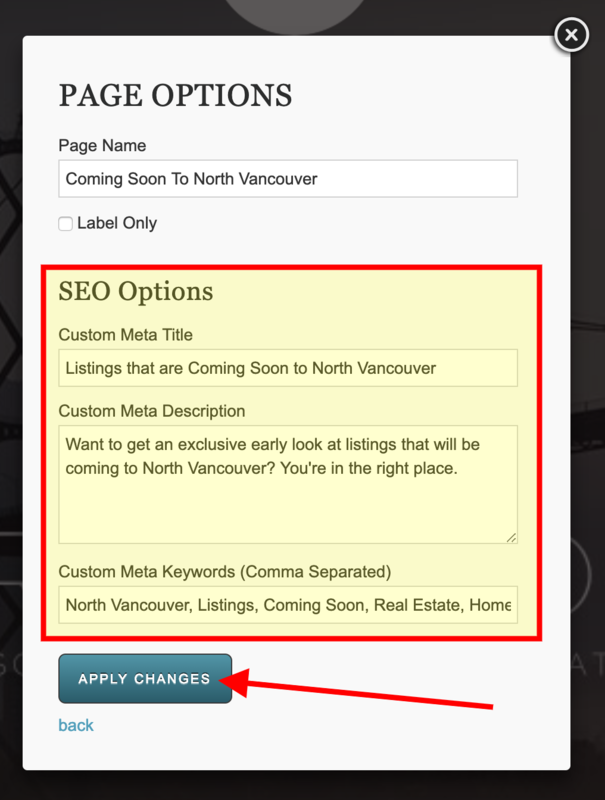 Type in your Meta tags in the “SEO Options” area & click “Apply Changes”. Step 7.) 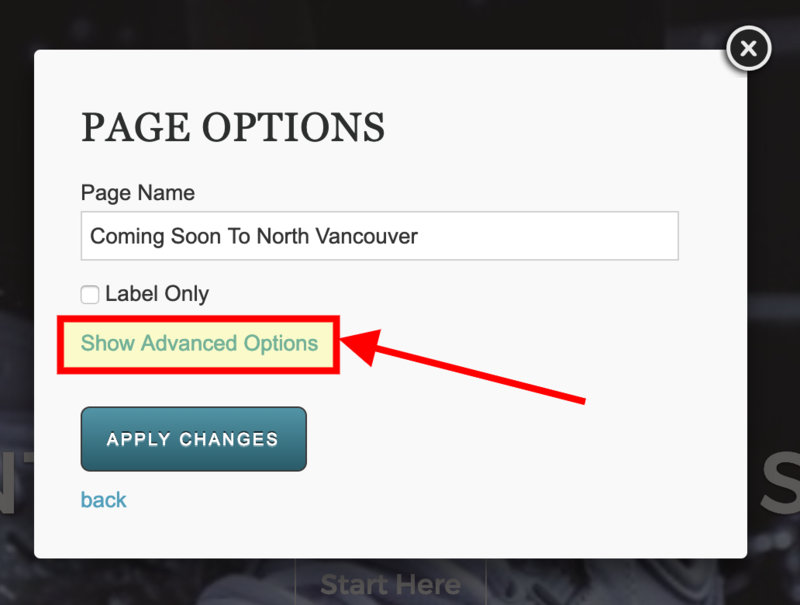 Repeat this for every single page on your site… yes… every. single. page. It’s going to take a while, depending on how many pages you have, but it’s also going to be WORTH your while. Especially if you have lots of community-specific pages. Start by defining your target audience (who are my fish? ), do keyword research to define the best keywords you should be using (what is my bait? ), and be very specific and meticulous about it all. I’m probably not the first person to tell you that CONTENT is your bread & butter in attracting traffic to your website or online presence. Content is everything on your website, from text to photos, videos to PDF files… all the contents of your real estate site. ……. but I’m guessing you knew that already. What you might not know or might have a hard time discerning is what type of content to produce and share that people will find valuable. your community is a source of unlimited – and extremely powerful – content for your website & SEO marketing. 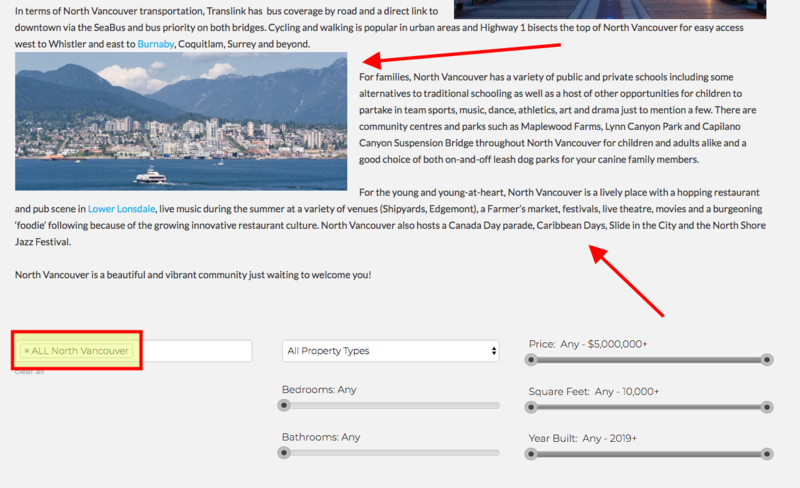 But how and where should Realtors® be using this and other content on their website? 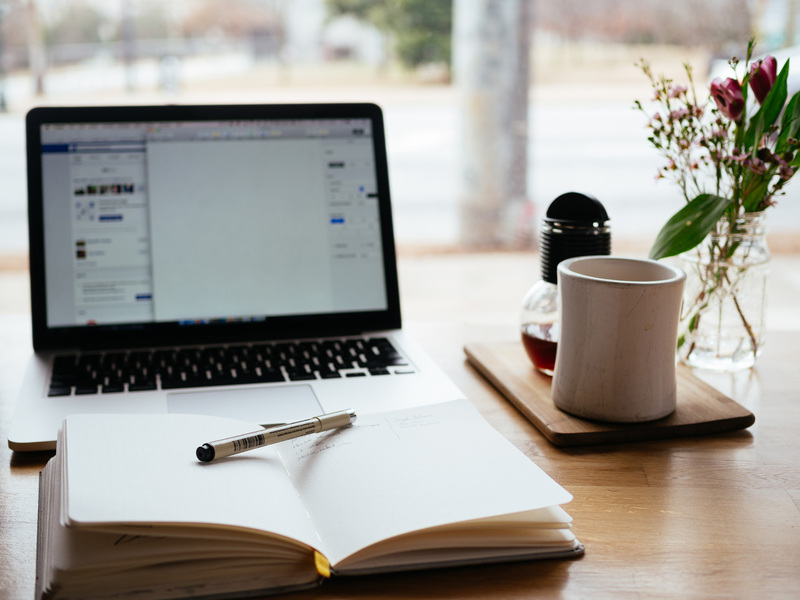 Let’s break down the 📄primary content pages on a real estate agent’s website and give you some ✍️content ideas for each of the pages. 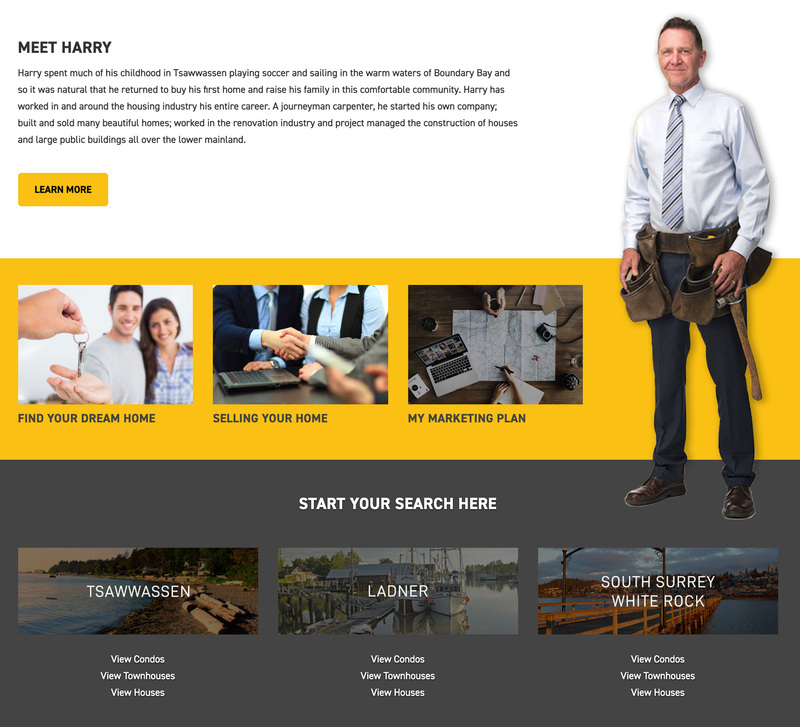 The main page on your real estate website, which contains a variety of information and call to actions, directing visitors around your website. In a lot of cases, this will be the first page people see on your site. It is also the page of your website that gives Google the strongest SEO signal. Your homepage is the most important page of your website in terms of keywords. Showcase your expertise: Highlight some of your strengths as a Realtor®, including awards, testimonials, sold listings and what makes you unique or different. Pages of your website that show automated listing feeds which showcase listings based on area, property type, price range, or some other criteria. These pages contain just listings by default, and that’s considered duplicate content by search engines, and will not be rewarded. In order to turn these into pages that search engines love, you need to add some content to them. Talk about what’s on the page: If your niche MLS® search page is featuring listings in a certain community, talk about the community. If it’s featuring listings of a certain price range, talk about the price range… etc. Explain how to use the page: Let visitors know exactly how to engage with the MLS® search functions on your niche search page. Explain how to use the sorting options, or the “subscribe” feature. Make it a community page: Take the niche MLS® search page to a higher level by including community info, video, weather widget, social media feed, photos, school info, shop info, restaurant info, transit info and more! Pages of your website that showcase the communities you serve in detail. 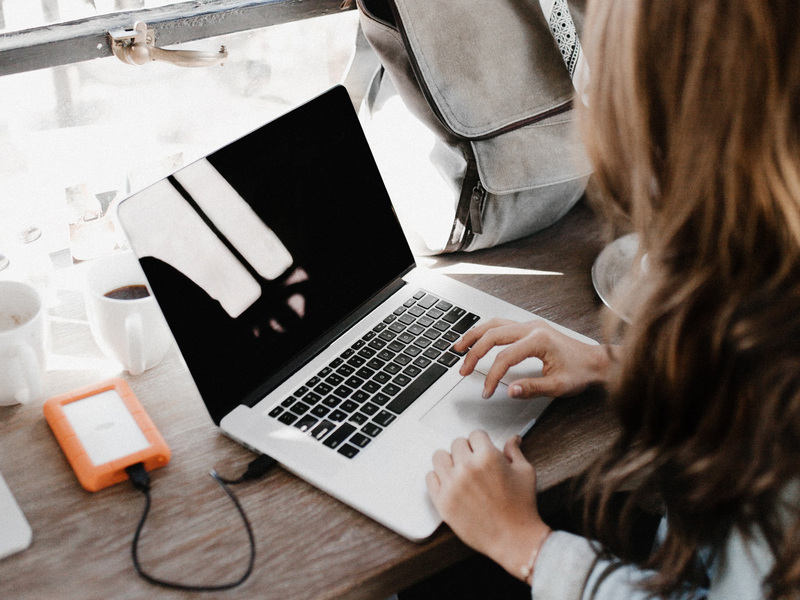 These pages of your website not only attract inbound visitors via search, but they also help identify your expertise in a specific community. The more in depth they are, the greater your perceived expertise. They can and should also include certain listings. Make a list of links: Your communities contain tons of public services, businesses, parks, schools, events and more. Create a resource for visitors full of links to all these different places (most of them have their own websites.) Be sure to open the links in new windows! What the area means to you: Don’t just regurgitate the same info people can find online about your community. Write about what it means to you and how, as a Realtor®, you’ve become familiar with the area. You have more to say about your community than you may think. Lee Mowry's real estate website includes a plethora of awesome, valuable content on various community pages like this one. Great for SEO! Pages of your website that contain valuable information that pertain to your target audience. Usually these resources are catered to helping your visitors make the best choices when buying and selling property – let them lean on your expertise on this topic. Guide for buyers & sellers: Create a long-form written resource that explains all the steps in the buying/selling process, and all the “secret” tips and tricks with respect to each step. Use the resource as a framework for a video, and embed the video on these pages also. 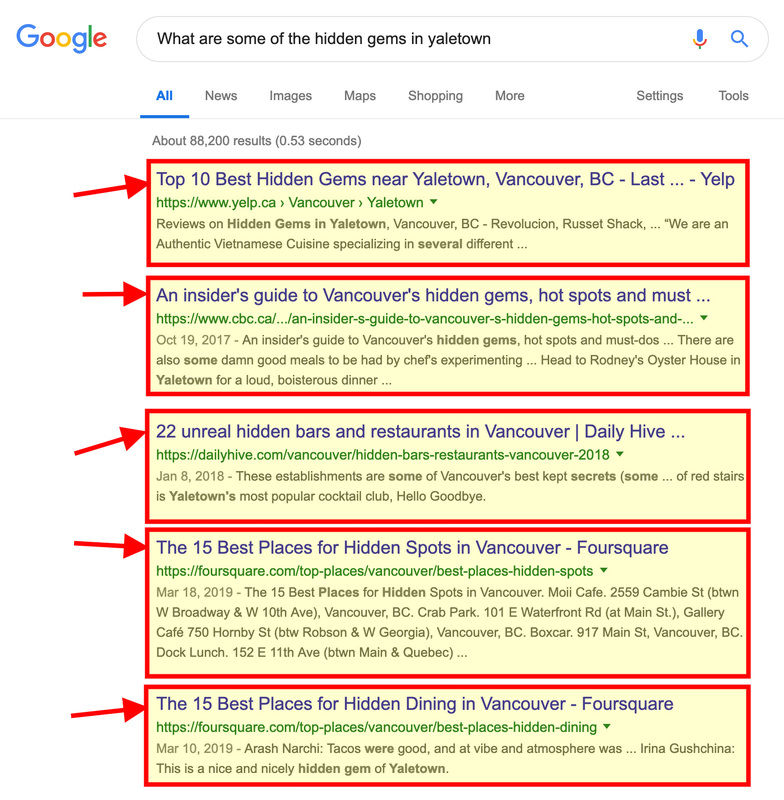 If you answer popular questions through your website, Google might use your response in a feature box above the results! Pages on your website that highlight trends and statistics surrounding real estate in your community. Put your own spin on it: Visitors don’t care about copy/pasted stats from the real estate board, and search engines don’t reward you for duplicate content. Take the market data, show it on your page, and then transcribe what this data means in your own words! Make a video about it: How do you make stats and data more engaging and digestible? You make it a video! Film a 30-second clip of you giving an update on the market once a month – upload to YouTube and embed on this page. Take it a step further by transcribing the info in the video into some text for the page. Not only will you rank on Google, you will also rank on YouTube! 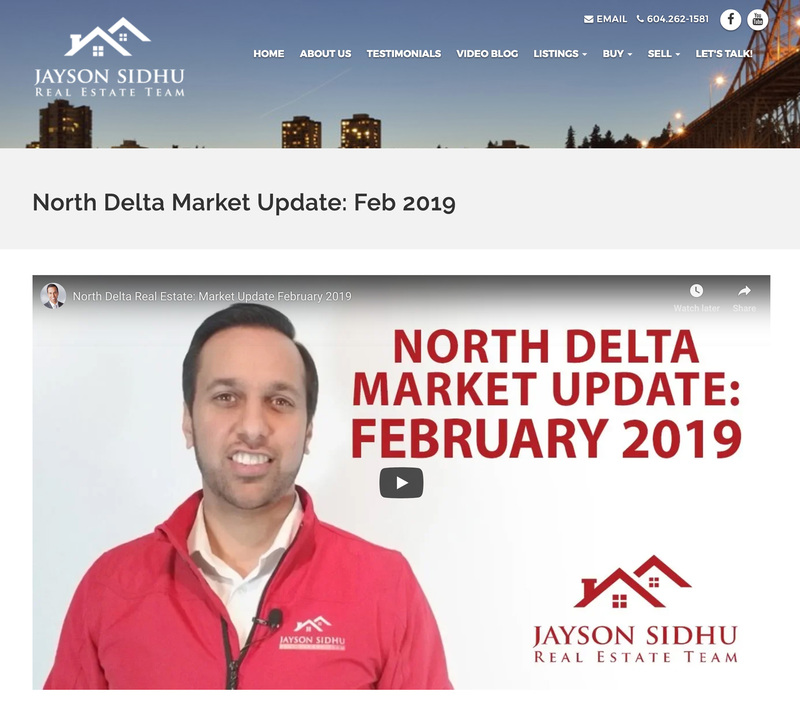 Jayson Sidhu's real estate website does an awesome job of using videos to give you a market snapshot in his own words - ideal! The page or pages of your website that shed light on you the Realtor® – your personality, your focus, your strengths, your credibility, your passion for real estate, etc. Do not leave this page “under construction” for long… this page is essential and highly important to visitors and search engines. Authentic & transparent: Don’t skimp people on the details about you, your brand, your passion for real estate, and your value proposition as an agent. Give away as many details as you can, and if it’s easier to just talk than to write, film a video! Do an interview with yourself: One great way to tell people about you is to interview yourself. Pretend a magazine has reached out to you with 20 interview questions… write the questions and then answer them in detail. Post this interview on the “About” page. Include photo & video: It’s one thing to read about a person, it’s another thing entirely to see photos and videos. Not only will these resonate more with your audience, but search engines also index your photos and videos. 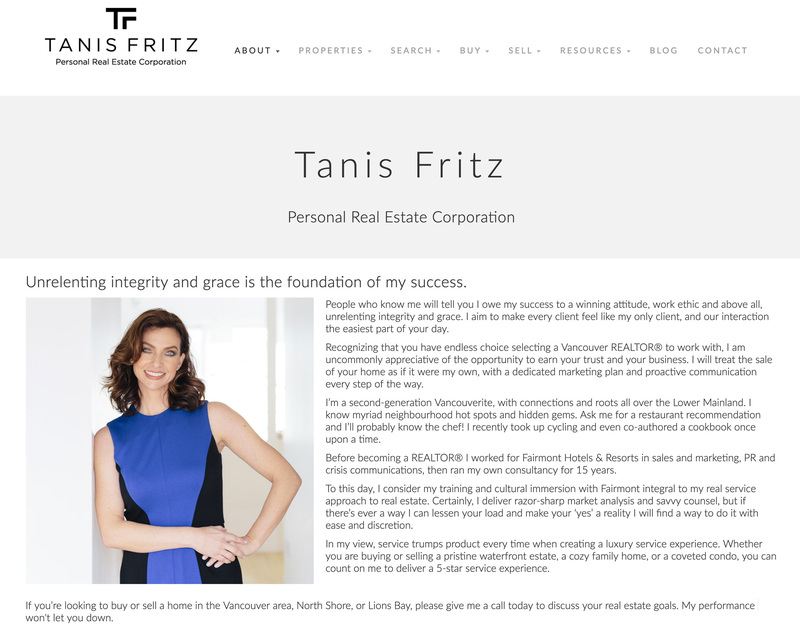 Take the time to give people some real insight into who you are and why you're different, like Tanis has on her real estate website. The pages on your real estate website that are used to convert traffic into leads with clear call to actions. Usually paired with specific marketing campaigns, sometimes connected to a custom URL, different from your primary domain. Need help developing a beautiful landing page on your RealtyNinja website? Browse our affordable landing page services. 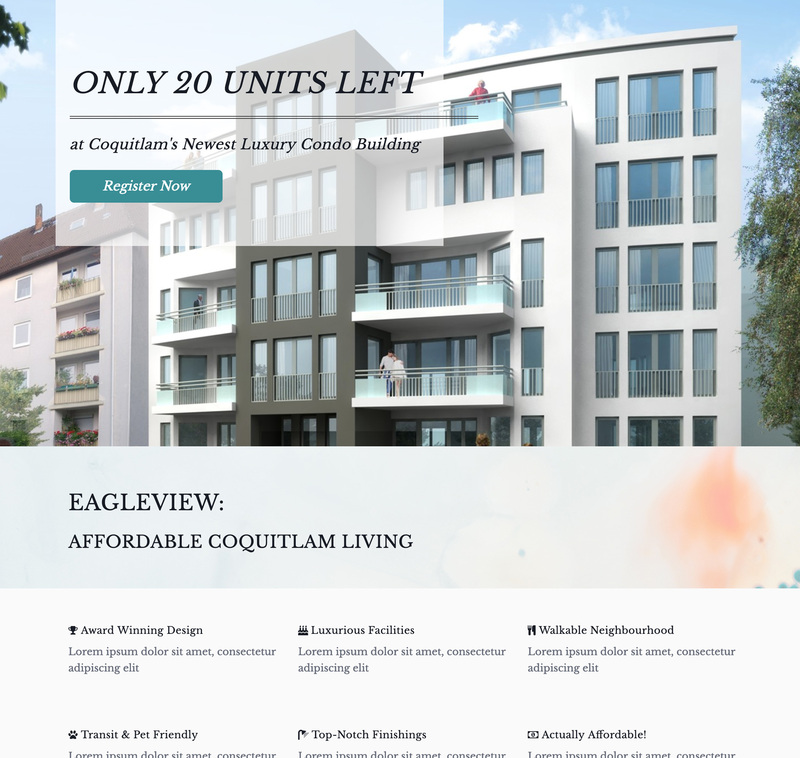 One example of a real estate landing page that can capture leads for a specific development. What will your landing page look like? Coming up with blog content is a bit different than creating content for any other page of your real estate website. 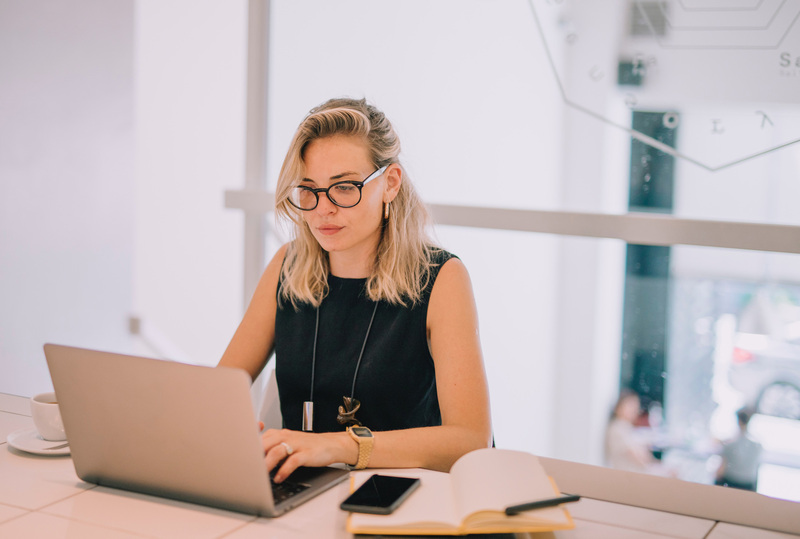 The blog is where you can treat your website like a digital magazine… where you can publish timely news, company updates, and useful resources that will attract visitors to your website. Then I want you to use your answers as sources of inspiration for content you’re going to produce for your blog. How has [community] changed over the last 50 years? What are some of the best local attractions in [community]? What are some common stereotypes about [community]? What are some of the hidden gems in [community]? Who are some local heroes in [community] and why? What are some of the most historic sites or stories about [community]? What does a ‘day in the life’ of a resident in [community] look like? What kinds of food and drink are residents of [community] fond of? Where in [community] can you enjoy nature? What kinds of resources does [community] provide to residents? Can you think of any more questions that will inspire some content? I encourage you to use the questions above – and questions of your own – to inspire different content ideas for your various online channels. Step 2.) On the Search Engine Results Page (SERP) for your search query, open the first 5 non-ad links that show up in new tabs. Step 3.) Read the 5 articles you opened and absorb their information. Make notes and add your own insights. Step 4.) Combine your own ideas and thoughts in with the information you picked up in the top 5 articles for that search. Now write an article that not only contains the best info from the top 5 results, but which is also an improvement on them. Share your article online, and tell your friends! Voila… you’ve just created an article that borrows insight from the top 5 results of a search query. In the next few weeks your article might just be nuzzled up there among the top 5! Remember, there are over 2 million blog articles being published every day around the world. This is no accident. Producing awesome Blog content is the #1 way to increase your SEO rank. PERIOD. If you only have time to commit to one SEO related activity, it should be to become a (better) real estate blogger. In order to stay ahead of the clutter and make your content stand out, it needs to be better than what’s already available. By following the basic steps above (the Top Five Technique), you can produce high-ranking content for your niche without having to publish an article a day. You don’t need to create 20 or 30 blog posts a month as long as the two or three that you do create are better than what’s already out there. When it comes to blogging, content & resources, quality is far more important than quantity in 2019. Use the Top Five Technique every time you’re creating a new resource, page or blog post for your real estate website… and give me a digital high five. While your social media profiles may not directly help your website rank higher on search, social media is still a very powerful tool in helping your website rank. Well, Google has publicly come out and said on a few occasions that having lots of followers on Facebook and Twitter (for instance) is not a ranking factor that they look at when positioning your website in search results. There are numerous reasons for this, but that’s a whole big ugly conversation of its own – one that we’re not going to get into today. On the bright side, Social Media can affect your website ranking through various, more indirect ways. Here are a number of ways that building and maintaining a strong social media presence will help your SEO rank. It’s no secret that millions of Canadians spend hours and hours on social media every day. It’s also no secret that two of the dominant search engine ranking factors are TRAFFIC and INBOUND LINKS. The more Traffic and Inbound Links your website receives, the higher it’s credibility and therefore the higher it’s rank on search engines. Create a Pinterest account and pin your listing photos, link them back to your website. Create a Facebook Page and share your blog articles, boosting them to reach a broader audience. Create a Twitter account and tweet links to your active and sold listings. Create a LinkedIn profile and share your website links to your profile. All of these ideas are essentially doing one thing: sending traffic from Social Media to YOUR website. Google might not care that you have 500 Likes on Facebook, but they do care than 300 people clicked a link on Facebook and visited your website this month! 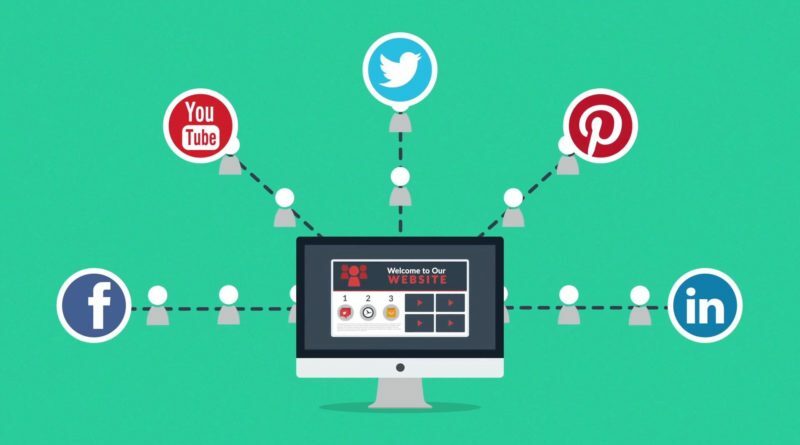 Even if each link you share on social media only earns you 10 clicks, that’s 100 clicks for every 10 posts. That’s 1,000 clicks for every 100 posts. And 10,000 clicks for every 1,000 posts! Imagine if every link you share earned you 200 clicks… 500 clicks… 1,000 clicks even! It all adds up, so be present and start sharing your links on various social media networks. Over time it will absolutely increase your search engine ranking. While Google retired their social network, Google+ a few years back they still have a social aspect to their platform. That would be their Review function. The more people who are aware of your real estate business, the more you become a ‘household name’, the higher your likelihood that people will click your search results and engage with your business. Imagine two fake Realtors® named Jason & Emily. Jason has no social media presence. Emily has 5,000 followers. Nothing says I have lots of followers quite like thick framed glasses. Now imagine one of Emily’s 5,000 followers goes to Google and searches “Home staging tips” and both Jason & Emily’s articles show up. Which one of the two links is Emily’s follower going to click… Jason’s (an agent she doesn’t know) or Emily’s (an agent she regularly engages with on Instagram)? I realize this may seem like a farfetched concept to you, but it happens more than you think with real estate agents. One Realtor® – and video influencer – that comes to mind (who happens to be a RealtyNinja customer) is Craig Veroni. Craig regularly posts video updates to his Instagram channel. This tactic is earning him thousands of eyeballs a month. Next time Craig’s website shows up in Google search to one of those eyeballs, they will be much more inclined to click his link than the competition. Food for thought! By simply building an engaged audience on social media, you can earn way more organic traffic than your competition. Some real estate agents have a funny way of using different social media profiles to tell different stories. This disjointed brand story is hurting their reputation both with search engines and with their potential customers. While Google and other search engines may not directly look at your social media when ranking your website, they DO still crawl your public social media profiles and connect them to your brand website. One great way to increase your website’s rank with search engines is by being consistent with your brand story. Make sure your brand is consistently saying the same thing everywhere. Let’s say a millennial finds your Facebook profile through Google search… Your Facebook Profile is speaking to millennials – great! Then the millennial clicks the link from your Facebook page to check out your website. They find that your website is talking about empty nesters looking to downsize… that’s going to cause your millennial visitor to leave your website immediately, thinking “WTF? !” This hurts your SEO (see Bounce Rate in Chapter 5) more than it helps. Moral of the story, be consistent with your brand message on social media and your website. If you’re regularly creating and publishing videos on YouTube, you will amplify the reach of your content. You will also amplify your credibility within Google – they love website owners who publish video content as well. You know what Google loves more than video publishers? Video publishers who optimize their YouTube videos with well written descriptions, descriptive titles, defined categories, video tags, geotags and more. YouTube gives you lots of options to tweak when publishing a video… Use them. Publish the blog post and share it on other social media channels! By doing this, you are essentially taking one piece of searchable content (a YouTube video) and embedding it into another piece of searchable content (a blog post) and then sharing it to a searchable platform (other Social Media) to earn traffic! Your website domain is what collects all of your “Google Juice”. It’s the scoreboard where all of your SEO points are tracked over the years. If you suddenly decide to change your domain, all of it’s points go away and you start from zero again. Imagine a husband and wife duo who run a casual diner called “Yummy” that they opened 15 years ago. 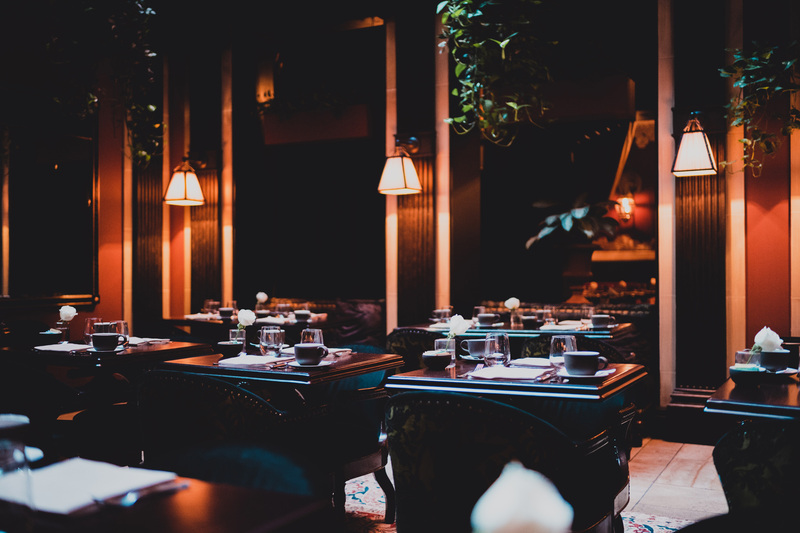 The diner is very successful and is busy every night of the week, but after 15 years the duo want to change things up. So, much to the public’s dismay, they close down Yummy and open a fine dining restaurant called “Savory” somewhere nearby. It’s going to take time for the duo to build up the “Savory” brand to the same extent as the “Yummy” brand… probably around another 15 years. That’s why we recommend NEVER changing your primary website domain. If your domain has been around for 5 or 10 years, it’s going to take you just as long to rebuild a new domain’s SEO reputation to the same level. Instead of shutting down your domain and starting with a new one, why not simply FORWARD a new domain to your primary domain? You can forward as many domains as you want to your primary domain… a hundred if you wish. When migrating from your current real estate website to a RealtyNinja website (for example) it is common for the URL structure to change. If you’re staying with the same website provider, but are changing your domain altogether, then your URL structure is guaranteed to change. 301 Redirects help you make these domain changes and migrations without feeling too many negative SEO effects. A 301 redirect is when you tell google to redirect a specific URL, for example “www.yoursite.com/areas/23/downtown-vancouver” to “www.yoursite.com/downtown-vancouver” and to keep as much SEO points as possible. Or let’s say you’re changing your primary domain from “www.emilysmith.com” to “www.emilysells.com” … you could use 301 Redirects to point all of your URLs to the new domain. So “www.emilysmith.com/downtown-vancouver” would be 301 redirected to “www.emilysells.com/downtown-vancouver” – again, keeping as many SEO points as possible on your scorecard. Without 301 Redirects, if anyone has your old URL bookmarked, when they try to access it they will get a page error because that link doesn’t exist on your new site. If you’re thinking about migrating your real estate website, or changing some of your URL structure, keep all of this in mind. And if you’re thinking about migrating your real estate website to RealtyNinja, we offer 301 redirects as a service, so don’t hesitate to ask. 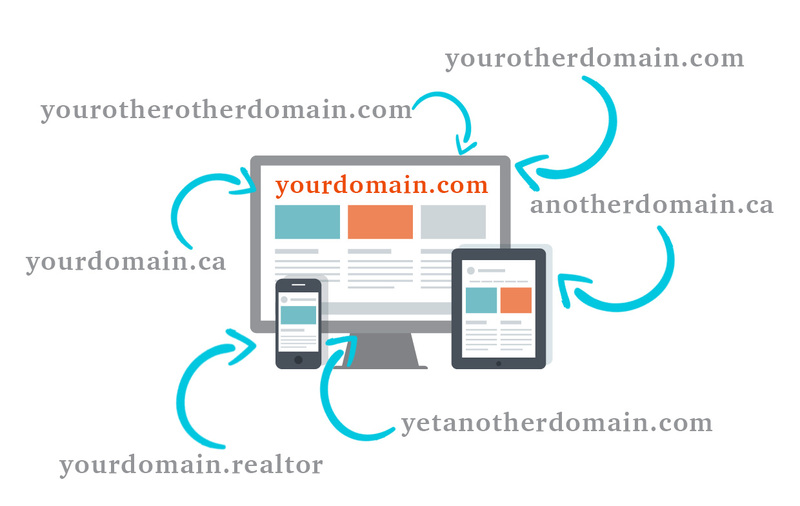 Now that we’ve covered the importance of domains for SEO, what makes a good domain? For starters, let me just say that your domain name (whatever.com) isn’t a very important factor when it comes to your SEO rank. Search engines aren’t going to look too much at your domain as an indicator of what your website is about. If this were the case, Google might think the website domain for clothing company “Frank & Oak” (www.frankandoak.com) was really a website about sausages and trees. They might think the website domain for Amazon (www.amazon.ca) was a website about the Brazilian rainforest. Luckily, your domain name doesn’t directly affect your SEO rank much. That doesn’t mean it’s not important to have a solid domain name. What is a solid domain name, though? And does it matter what extension you choose? Keep it short and easy to type. The best domains on the web are around 6 characters long. You most likely need to go longer than that, just try to keep it as close as you can. Make it easy to remember. Naming anything is hard, from businesses to babies. Domains are no different. But take the time and try to make it something people will remember. There was a print shop in Vancouver who had so much success with their memorable domain name that they actually changed the whole name of their business to match it. That print shop used to be called “Ultra Xpress Printing” and their domain name is “PrintPrint.ca” (so good!) Now their whole business is called PrintPrint.ca. Make it relevant to your industry. It’s easy to pick a domain after your name, and there’s nothing wrong with that! However, if your name is Emily, a domain like “EmilySellsHomes.com” is using your name AND is directly relevant to real estate. Own multiple domain extensions. Find a domain where you can purchase at least both the “.ca” and “.com” extensions. This might be a challenge, but it’s good to own both in case someone goes to the .com version and you only own the .ca. If you do own multiple versions of your domain, it’s always a good idea to 301 redirect (see Chapter 8) your secondary domains to the primary one. Research the domain before you buy it. The last thing you want is to run your website for 6 months before getting hit with a trademark infringement notice and having to shut down the site. All of these tips are going to help you create a stronger brand online, which will resonate better with visitors and ‘Googlers’. The strength of your brand plays a strong role in your overall SEO strategy. However, don’t worry too much about what you choose as your domain. Even a domain like piotrowskirealestate.com could rank high on search with proper optimization. Google uses hundreds of SEO “signals” in their algorithms in order to provide searchers with the best results possible. Remember: Google’s #1 goal is to make it’s users happy, by providing them exactly what they are looking for as quickly as possible. That’s why a couple years ago Google developed a new signal called RankBrain, which is an AI machine learning robot that is always working in the background of Google to provide users with the best search results possible. Combined with their original algorithm, PageRank (named after Larry Page, one of Google’s founders,) these two algorithms do so much work in the background to automatically provide the best possible results to Google users. 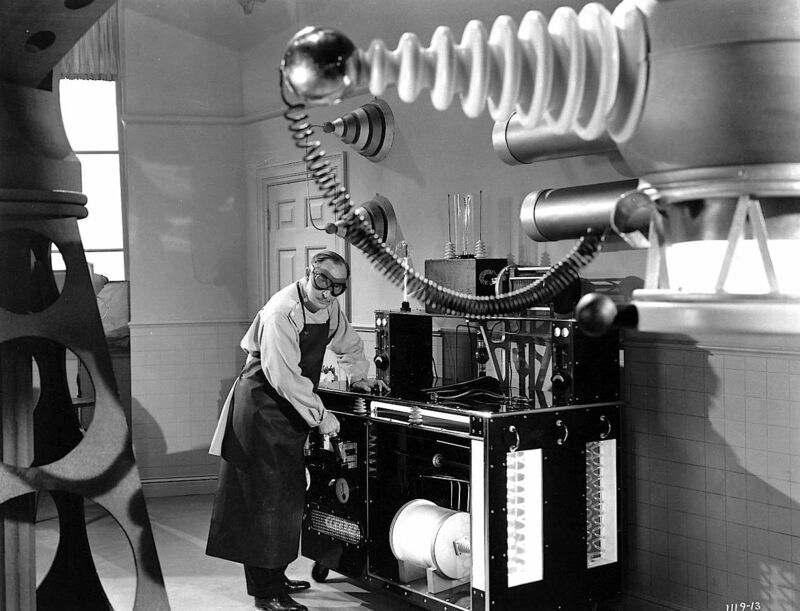 Let’s get to know RankBrain & PageRank a bit better. Disclaimer: No one outside of the Google actually knows 100% how RankBrain, PageRank or any of Google’s algorithms actually work. All the publicly available information is based on educated guesses and is subject to change on a daily basis. When a user enters some keywords into Google search, RankBrain automatically uses a handful of measurements to provide the best results possible at the top of the page. Some of these measurements are Organic Click-Through Rate, Dwell Time, Bounce Rate and Pogo Sticking. The number of clicks an unpaid (no ads) search result receives, divided by the number of times it’s shown. So if your real estate buyers guide appears 100 times in search, and a user clicks it 20 times, your Organic Click-Through Rate is 20%. How to optimize for Organic Click-Through Rate: Make the title of your content appeals to Google users enough that they click it. After clicking a search result, the length of time that a visitor spends on that page before returning to the SERP. [-_-]~~ Ninja Tip – The average dwell time for a top 10 google result is 3min 10sec. Try to aim for that. The percentage of visitors who leave a website after viewing only one page. How to optimize for Bounce Rate: Every page on your site should include links to other pages on your site, making it easy for visitors to roam. This is called “Interlinking” and will be covered more in Chapter 6. When the user clicks a link on a SERP, sees that it’s not what they’re looking for, and immediately hits the back button. How to optimize for Pogo-Sticking: Get to the point – people don’t have all day and they don’t want to consume fluff. Give them the information they are there for as fast as you can. When you’re optimizing your website or creating content for SEO, be sure to please RankBrain by following the optimization tactics above. This AI powered algorithm was part of Google’s foundation. In the early days Google created PageRank and it has evolved over the years, remaining one of the most important SEO signals they have today. You could write an entire book about PageRank (and people have) – I’m not going to bore you with all of that. Here’s what you need to know about PageRank: it’s all about building authority. 40 years ago, before the internet was publicly available, you wrote a thesis and submitted it to a popular scientific journal. Your peers took note of your thesis in the publication, and many of them began referencing your thesis in their own work. In fact your thesis resonated with so many people in the scientific community, that over the next couple of years thousands of scientists had referenced your thesis in their own literary work – many of whom were published in journals as well. Over those couple years since you published your thesis, your AUTHORITY in the scientific community grew a great deal. Everyone now knew you, noticed your work, and you had earned such credibility and respect. Fast forward 40 years – this is basically how PageRank works! When a website on the internet references your real estate website with a Backlink (see Chapter 6,) you are gaining authority in the eyes of PageRank and Google. I invite you to do your own research into PageRank and absorb as much as you can. In the next chapter, we’re going to cover Backlinks in greater detail. By now, the internet is no longer brand new and I’m sure you’re familiar with the term “Hyperlink” (or just “Link” for short.) Links are internet functions that take you from one place on the web to another. Simple enough! Backlink: When some other website on the internet links to a page on your website. Example: You work closely with a mortgage broker. On the “Partners” page of the mortgage broker’s website, there is a backlink to your real estate website. 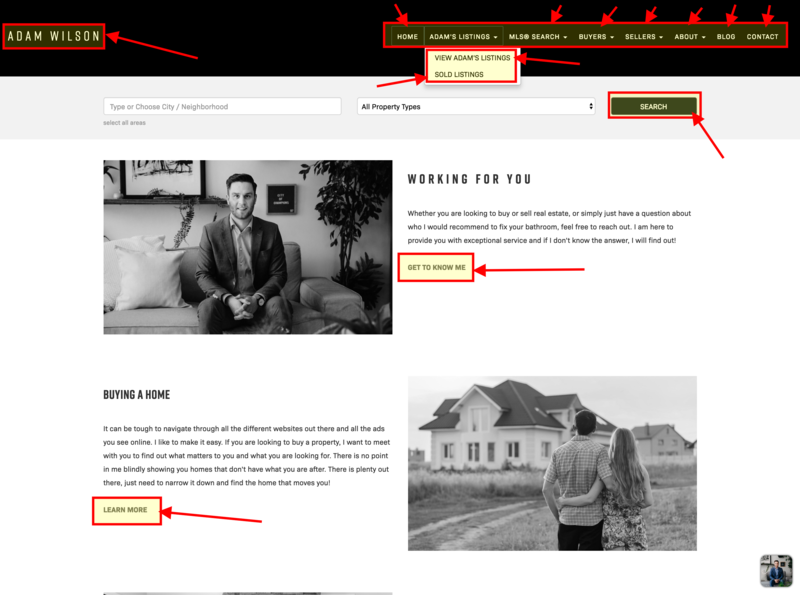 Example: Your real estate website’s homepage has a call to action button on it. The button says “Latest Blogs” and interlinks to your website’s blog page. Each of these two different types of links provides you with unique & significant SEO benefits. Let’s talk about them one by one, starting with…..
To put it simply, the number of backlinks you have to your site are directly correlated with your search rank. 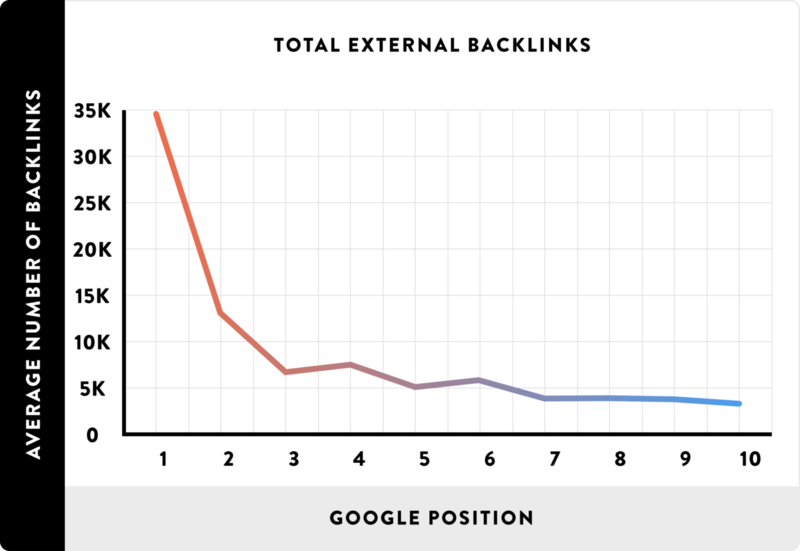 More backlinks = higher Google ranking! [-_-]~~~ Ninja Tip: If a website with a high Domain Authority links to YOUR website, it’s much better for you than if a website with a low Domain Authority links to your website. Both of these backlinks are good overall, but the one coming from a more credible source will be stronger for your SEO. Now it’s important to note that there is overall domain authority, and there is also page authority. Some pages of your real estate website might have more backlinks to them than other pages. These pages will have a higher authority, and will in some cases be ranked higher than your general website. Pssst! Want to quickly check and see how many backlinks you currently have pointing to your real estate website? Just go here and type in your domain. Write guest blog articles for publications that your target audience is reading online. Simply email them and offer to contribute to their blog – you’ll be surprised how receptive they are. Include at least one backlink to your website in the body of that article. As we mentioned in Chapter 4, social media is a huge source of links and traffic pointing to your real estate website. Be sure to share all of your website’s content and blog posts onto your social media channels. Encourage others to share them as well! Ask your partners and referral network to include a backlink to your website on their site. Return the favour by creating a “Partners” page on your real estate site and linking to them as well. Google yourself, and wherever you discover you have a profile, login and update that profile to include a link to your real estate website. This could be on your brokerage website, social media profiles, or other directories. Be a source for journalists, reporters & bloggers by signing up for a service like sourcebottle.com. When Journalists are looking for information or quotes on specific topics, they will submit their queries to SourceBottle, who will pass these queries on to you. By responding, you have a chance to be featured in various publications – with a backlink to your website. Many Realtors® out there have multiple websites. For instance, a personal real estate website, a team website, a condo specific website and a community specific website. If you’re an agent with multiple web presences like this, be sure to provide backlinks to all of your sites from all of your other sites! As we covered in Chapter 5, two of Google’s primary ranking algorithms are RankBrain and PageRank. While Backlinks directly affect PageRank, Interlinks can directly affect RankBrain. An Interlink is a link on one page of your real estate website that sends traffic to another page. All the highlighted areas are interlinks, including the main navigation. But how do Interlinks affect RankBrain, and your overall Google search rank? One of the important factors that RankBrain takes into account is your “Bounce Rate” (see Chapter 5.) Essentially, if a visitor comes to your website and leaves without visiting any other pages, this counts as a “Bounce” and it doesn’t look very good for your SEO scorecard. By filling your site up with Interlinks, you are giving your website visitors directions on where to go and how to interact with your website. You’re giving them a path to follow so that they stay and engage with your content for longer. Another key factor with regards to RankBrain is “Dwell Time” (see Chapter 5.) In other words, the amount of time a user “Dwells” on your website. If a visitor arrives at your website and isn’t directed to other pages, they will most likely consume the information available to them and then leave. They might spend 30 seconds to one minute on the site before “Bouncing”. However, if you provide visitors with useful interlinks, sending them from one page to another, they might consume 10 pages of content on your website, which takes them between 5-20 minutes! This is absolutely ideal, considering most top 10 Google results average a Dwell time of about 3 minutes and 10 seconds. Link your blog posts to other blog posts. 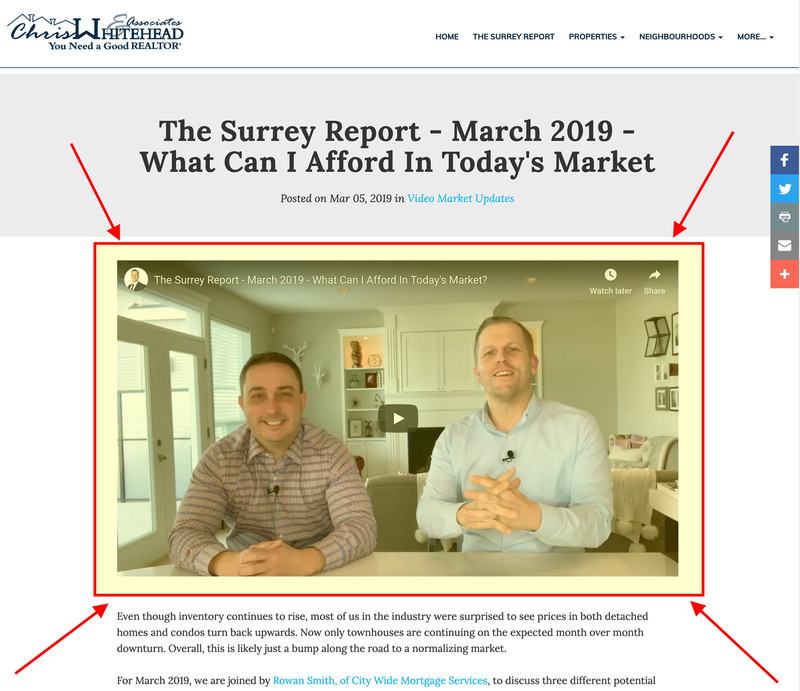 If you ever find that one of your real estate blog posts is referencing something you’ve talked about in the past, highlight that bit of text and link it to the previous blog post. Write a multi-part blog post. If you’re writing about a large topic, consider breaking your blog post into multiple different posts. Then link from each post to the next (and previous) in the series. Create important call to actions on your homepage. When traffic arrives on your homepage, they don’t necessarily want to dig through your entire menu bar. Point them towards the important pages of your website with call to action interlinks. Link to other search pages on your search pages. 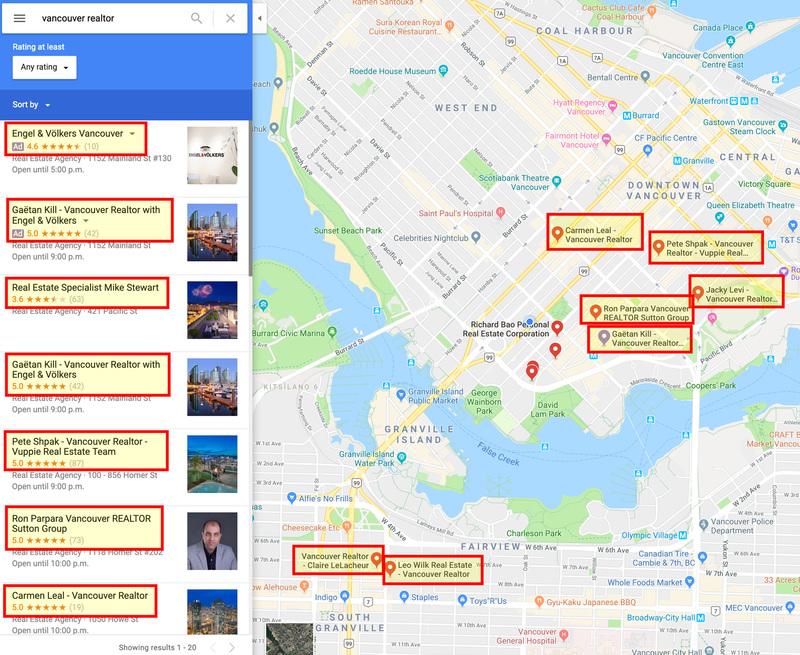 If you’re showcasing an area with a niche MLS® search page, add easy links to view Condos in that area, Homes in that area, Acreages in that area, and Townhouses in that area as well. 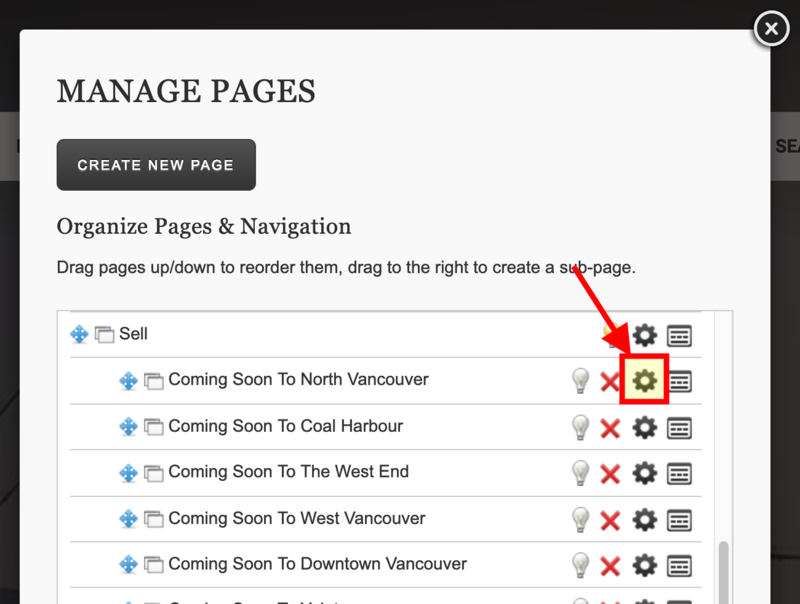 Create a buyers or sellers guide with multiple sections. When a visitor goes to “Section 1” they can then click next to view “Section 2”. This is basically just breaking up a specific guide or resource into multiple pages. Add “View other listings” link to Featured Listings page. Sometimes you don’t have any featured or active listings. Don’t let your Featured Listings page be a dead end. Include links on that page to view other types of properties. 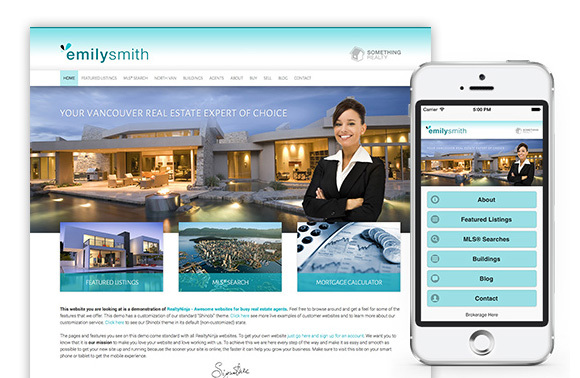 Link to your Realtor® blog from everywhere. Your blog isn’t just this standalone area of your site. Each of your blog posts has it’s own unique URL and you can link directly to them from any page. If you’ve written an awesome article, enhance it’s visibility by linking to it from multiple pages around your real estate website. Include call to actions on every page. Just because a user clicked a call to action on the homepage, doesn’t mean their journey is done. Make sure every page on the site has at least one call to action to take them to another page. By correctly implementing a Backlink & Interlink strategy into your real estate website, not only do you appease visitors, you are also appeasing two of Google’s primary ranking algorithms: RankBrain & PageRank. But… buyer beware… the same way that Keyword Stuffing (see Chapter 1) can get you in trouble with search engines, so can covering a page with Interlinks. Please don’t go link every word on your site to different pages. A high number of links on a page can negatively affect your SEO rank. A good rule to keep in mind is that you should design your entire website experience for humans – by following this general rule, you will also appease search engines. Don’t let this chapter slide by the wayside, although it’s tucked away deep in this article, Backlinks & Interlinks are extremely… I repeat… extremely important to SEO. When thinking about SEO strategies, usually the things that come to mind are either highly technical, or highly reliant on typing a lot of words. Well, you’re not wrong. There are a lot of technical optimizations (see Chapter 8) to consider. Of course, producing engaging written content (See Chapter 2) to attract traffic is also important. But there’s more to SEO than that. Search engines like Google have many categories that they use to help put the right content in front of their users. 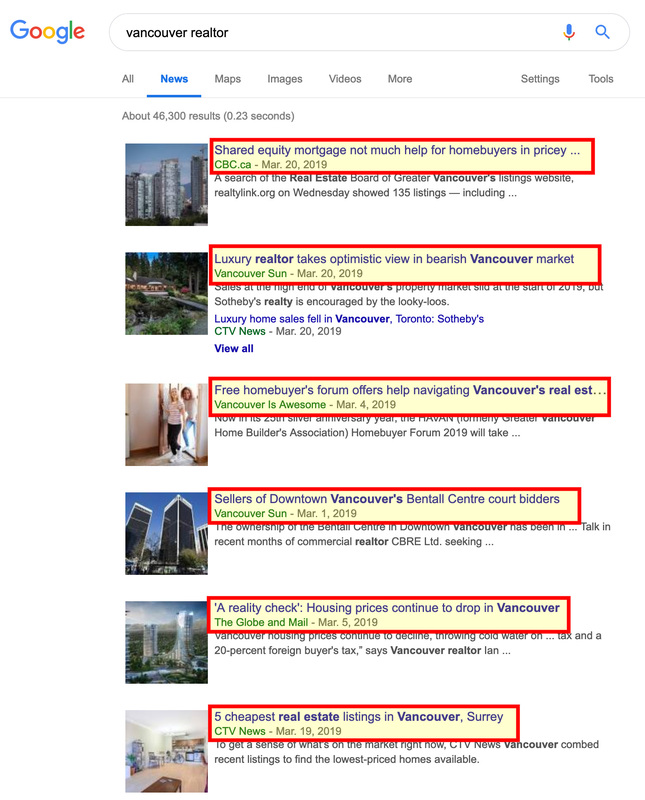 Looks like all the top news for “Vancouver Realtor®” is coming from CBC, Vancouver Sun, Globe and Mail and other major publications. These publications have strong domain authority, and when they publish anything, it ranks well on Google because they have a massive online readership. As long as you’re publishing content on your blog, Google will recognize it as “News” and place it in the News tab. Notice how clicking the “Maps” tab changes my whole view and let’s me take a look at Vancouver on the map, with results both on the left side and plotted on the map itself. Take a look at the URLs associated with each of the images above. Some of them are from Yelp… others from Twitter or Facebook. But a lot of them are coming from the actual Realtors® own website! 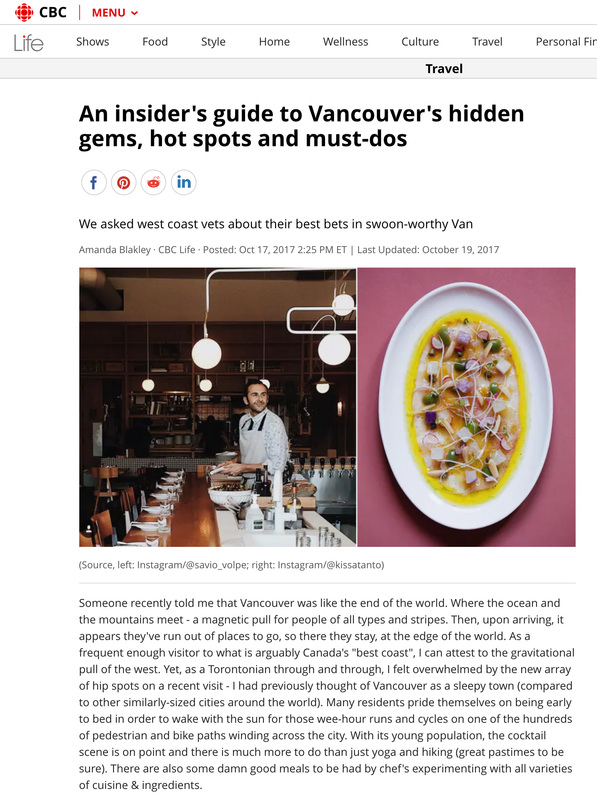 These Realtors® are doing a great job of making sure their photo exists all over the web, whether it’s by being active on social media or by being featured in publications like Vancouver Is Awesome. They are also doing a great job of ALT Tagging (see Chapter 1) their photos on their own website. Don’t forget about Google’s “Images” tab, this might be where your next commission cheque comes from! Why are 75 percent of these videos so old!? Is there any reason why 3 of the 4 videos in the screenshot above are from 2015 and 2012? Well, not any good reason. 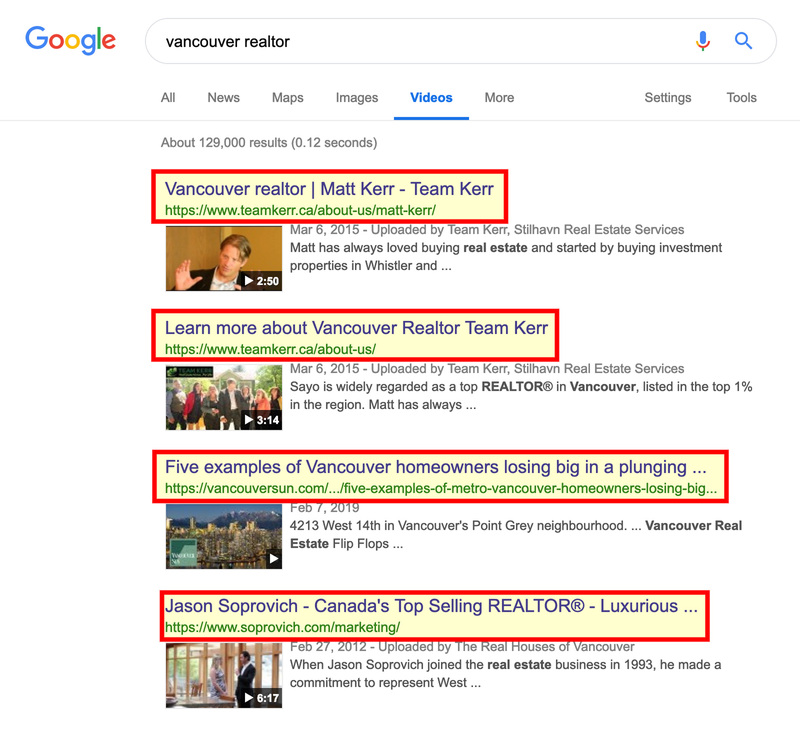 It may very well deserve to be, but it almost certainly doesn’t include the keywords “Vancouver Realtor®” in its title or description. I encourage you to do your own search for some important keywords to your business, and skip through the various tabs of Google. Try “Calgary Realtor®” and “Toronto Real Estate Agent”…. See if you can find any golden opportunities to stand out among these different tabs. As you can see, SEO isn’t all about who’s writing the most text. There are many ways to be discovered, which means you don’t necessarily have to work hard so long as you work smart. Well, we’re finally here. The last chapter of this massive SEO guide. If you have made it this far without skipping chapters, I am thoroughly impressed – and you should be too. When search engines are indexing your real estate website, there are so many factors that come into play. Some of these factors have to do with front end marketing… like writing content, taking photos, asking for reviews, creating a linking strategy, maintaining your domain for years, updating your META tags, making videos and everything else we’ve covered from Chapters 1 – 7 so far. Other factors however have to do with the technical aspects of your website. I don’t want to bore you with too much technical jargon here, but these factors are still quite important to your SEO. There was a time not too long ago, when mobile phones were not able to browse the internet without exorbitant data fees. Back then, websites only mattered on computers and laptops… a simpler time. Then with the release of smartphones came the era of “dedicated mobile websites” which were mini-versions of your website, with limited design capabilities and overall functionality. During this time, we all basically had to have two versions of our websites, one for desktop and another one for mobile viewing. But nowadays we are living in a time where the majority of web browsing happens on mobile devices, from smartphones to tablets. The dedicated mobile website experience is no longer acceptable. Now you need a “Mobile Responsive” website. The meaning of Mobile Responsive: when your website responds to the size of the device it’s being viewed upon, and shrinks or grows accordingly. If you’re viewing a website on a laptop, if you grab the corner of the browser and shrink it down, the website should respond to the browser size live, and all of its contents should scale down to fit – and then scale back up as well. In terms of SEO for a website, it’s extremely important that your website be Mobile Responsive in 2019 and beyond. Sites that do not respond to browser sizes automatically are going to have to work MUCH harder to rank well on Google these days. 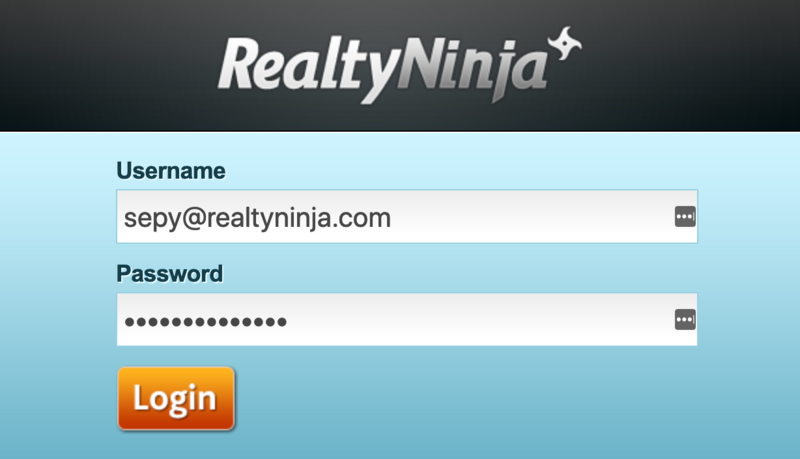 All RealtyNinja real estate websites are mobile responsive by default. In fact, our websites are actually built on “mobile-first” technology, which prioritizes design aesthetic for mobile browsers. This will ensure that your real estate website with RealtyNinja is going to look great and function perfectly for years to come. Remember when it would take you 3 minutes just to connect to the internet? You’d hear screeching and buzzing, and nobody in the house could pickup the phone or else it would disconnect? Things moved a lot slower then by nature. Internet speeds were nothing like they are today, and as a result, the patience of a human being was also much greater. Nowadays we need instant gratification, and so do our search engines! If your website takes more than 3 seconds to load, people tend to leave. THREE SECONDS!! Can you believe that? Go take a look at your real estate website, see how long it loads on a good connection. If it’s taking more than 3 seconds, you might be trying to load some really big images or complex 3rd party data feeds on your website – I highly recommend you identify the issue and do some cleaning! If your site is not loading quickly, you will lose visitors – which is bad enough for your SEO (See Bounce Rate in Chapter 5) – but search engines will also take note of your load time and factor that in when selecting your ranking. Talk to your web developer and see if they can help you optimize your pages so that they load in under 3 seconds… ideally they should begin to load and show visitors something immediately! If you’re a RealtyNinja customer, you’re in luck. Our servers are super speedy, our website code is loaded in such a way to minimize delay, and our content is loaded through a CDN (Content Delivery Network) to ensure file size optimization and rapid loading. There’s a reason we’re called Ninja. In July 2018, popular web browsers began showing warnings when you visited an “unsecure” website. When it comes to real estate, trust is everything. And if a visitor can’t trust your site, then it says a lot about you and your brand in general. Not only does it look bad for you to have an unsecure website in the eyes of humans, it’s also become a major ranking factor with search engines. Want the full scoop on SSL Security? Find out everything Realtors® need to know about SSL Security here. In a nutshell, these days, all sites need to be SSL Secure in order to keep up with website and SEO best practices. Take a look at your website URL (your domain) and make sure you have the “HTTPS://” there before your domain. If your domain prefix reads HTTP instead of HTTPS, it means you have not yet secured an SSL Certificate, and your website is unsecure. If your real estate website is not yet SSL Secure, you should think about starting an account with RealtyNinja – our Realtor® websites come fully equipped with free SSL Certificates by default. 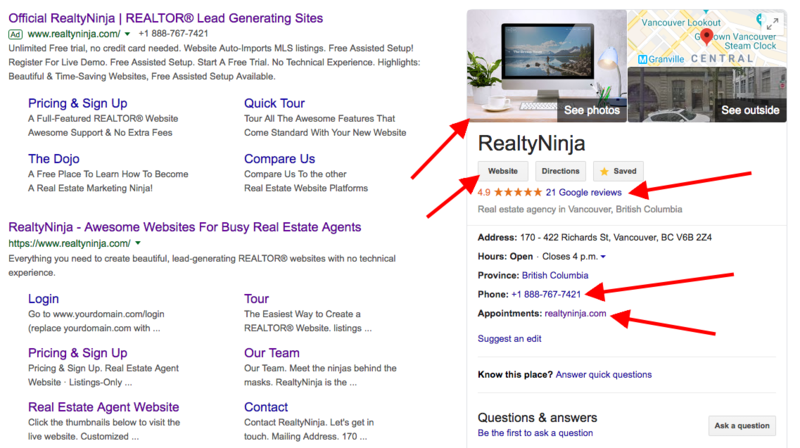 Time and again I hear agents asking me how working with a software company like RealtyNinja would negatively affect their SEO. For some reason, there is a stigma out there that paying $20,000 to custom build a website will poise you for SEO success, while paying $79 per month for a real estate website built using CMS (Content Management System) software like RealtyNinja will set you up for SEO failure. The simple truth is this: WordPress is a CMS. Squarespace is a CMS. Shopify is a CMS. Joomla is a CMS. Some of the most popular, highest ranking websites on earth are built using a CMS. For years now, Content Management Systems like RealtyNinja, WordPress, Shopify and others have been producing some of the greatest websites online. Both from the standpoint of design and search engine optimization. Do not be fooled by custom website developers who promise you Page 1 Google Rankings because you’re paying them an arm and a leg. The truth is, 99% of them are going to build your website using a CMS anyways. Search engines do not adversely rank websites built using CMS software. In fact, it’s quite the contrary. Software like RealtyNinja is constantly updated to keep up with best practices online. If you have a custom website built, it’s up to you to maintain the technical aspects of that website. Up to you to stay current with what’s expected of you for SEO and general website practices. Wouldn’t you rather just be a Realtor®? Why not leave the technical stuff up to us and our Ninja developers, while you reap the benefits of having a beautiful real estate website? Every page of your website has its own unique URL or path. Making sure these paths are clean and made up of a logical structure is extremely important to your SEO. Notice Michelle Vaughan's plain English URL structure... Google likes this! I’m sure you don’t need a magnifying lens or degree in computer science to appreciate the difference. The first screenshot has a clean and clear path, with easily understandable, plain English characters. The second screenshot… a jumbled up series of codes and numbers. If your URL paths look more similar to the second example, you might want to have a word with your web developer and see how they can help you. If you’re a RealtyNinja customer, you can rest assured that your URL structure is clean, crisp and abides by Google’s best practices by default. PS. This doesn’t just apply for listings either. When it comes to blog posts, or any page of your website, you want to make sure they are clean and easy to understand. If a human would like it, so would a search engine. Google automatically crawls the internet regularly, and picks up new websites eventually. Why not help them along? When you launch your real estate website, one intelligent and important tactic is to submit your website to Google for indexing. This will automatically hand your website to Google’s robots for indexing. Instead of waiting around for weeks or longer for Google to crawl and index your website, get them to do it for you instantly. If you’re not seeing your new Realtor® website on search results yet, chances are your web developer has not submitted your site to Google. Check in with them. 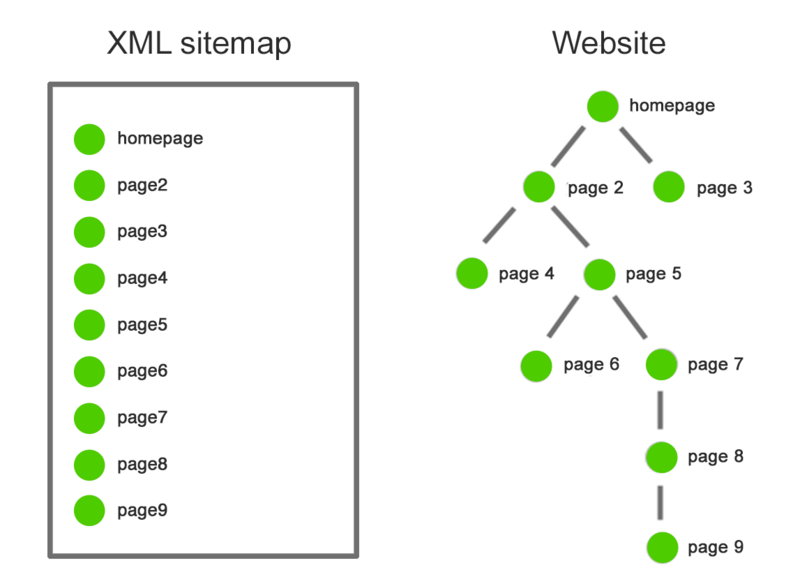 One of the important features of any website is it’s XML Sitemap. XML Sitemaps are technical documents than basically map out the framework of your website and all of it’s pages for search engines. By attaching a clean sitemap file to your real estate website, you allow Google to crawl and index your site much more efficiently. It also helps Google make important connections between certain pages of your site. Your XML Sitemap file makes the indexing process much easier for Google, thus helping your website pages rank higher on search. Suffice it to say that you will be rewarded by Google for helping make life easier for their search engine robots. Another useful tool in the SEO battle is called Microdata. Your website’s Microdata essentially assigns values to different components of your site which make those components easier for search engine robots to understand. 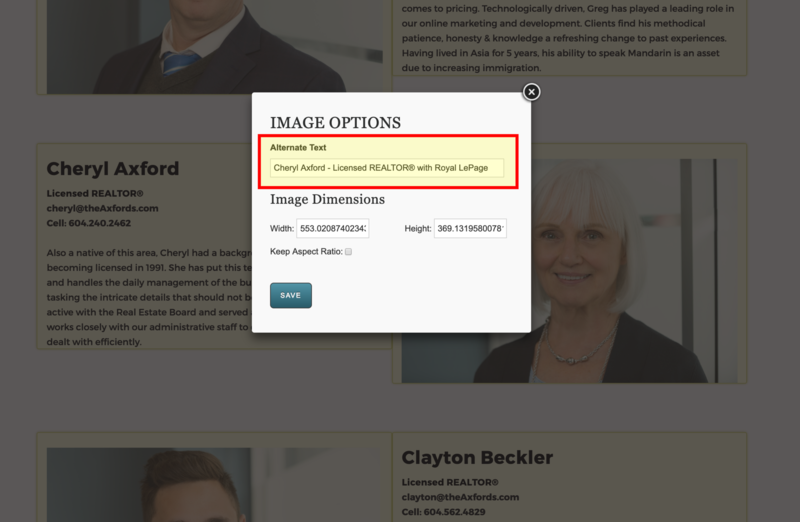 For example, when you enter your Phone Number, Address, Name, Brokerage, Email & Social Media links into your RealtyNinja website, we automatically embed Microdata for each piece of contact information (among other things). This Microdata tells Google exactly what they are… that your Facebook Link is a Facebook Link… that your Phone Number is a Phone Number… etc. Microdata is one additional way to ensure that search engines are understanding your website more clearly, and are able to provide the best possible results to search engine users. Check in with your web developer and make sure your real estate website has a clean Sitemap.xml and properly uses Microdata. As always, if you are a RealtyNinja customer, you needn’t lift a finger. Our websites will generate an XML Sitemap and use Microdata for you automatically. Thank you for taking the time to go through this ginormous article. I hope that it answered many of your complex and basic SEO related questions. Important Note: Search Engine Optimization is a fickle and ever-changing marketing practice. There are no guarantees. You could do everything in this guide and not reach page 1 on Google anytime in the near future. By following this guide, you are giving your real estate website the best fighting chance on Search Engines, absolutely. Even so, it’s all very dependent on the competitive landscape in your market, your keyword research, and most importantly: time. You may not see positive results from your efforts for months to come. Don’t let this discourage you! Stay active, consistent and vigilant with your SEO efforts and don’t be afraid to tweak your strategy and test different variations as you go. We believe in you, Ninja! We've created a free SEO Checklist for you to download and use to keep track of your optimization efforts - you can download it just below.